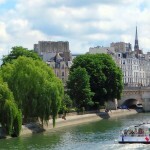 The Banks of the Seine, classified as World Heritage by UNESCO since 1991, have significantly changed in their use over time. especially since the mid-20th century and the spread of the automobile. 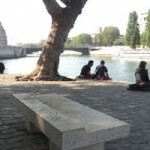 With the new 2 kilometers pedestrian walk from the Pont de l’Alma to the Musée d’Orsay, Parisians claim ownership of this original space of recreation and relaxation. We are still far from naps and sunbathing between two dips, as it used to be yesteryear,, but it is getting close ! 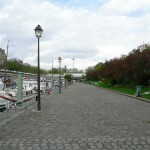 Between Pont Royal and Pont de l’Alma, 2.3 km of the left banks are now exclusively pedestrians. The former urban “highway” has been converted into a pleasant recreational area made up of gardens, bars, restaurants, and many facilities to freely enjoy the banks. Among those facilities, let’s list the floating garden, moored at the Pont de l’Alma; the Zzzz, shipping containers you can book for free for 1h30 (but already full until July …) and sports facilities that can be enjoyed with coaches (see program – French only). 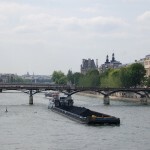 Also culture area, the Berges will organize several temporary exhibitions per year, and « water shows » at the platform created between the Musée d’Orsay and the Banks. 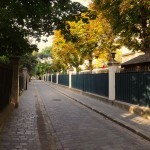 Settled in the heart of the city, those new banks are a new way to discover Paris, surrounded by the wonderful scenery of sights as the Place de la Concorde, the Grand and Petit Palais, the Invalides, the Musée d’Orsay …. Indubitably devoted to become a unavoidable place of stroll. To be discovered.